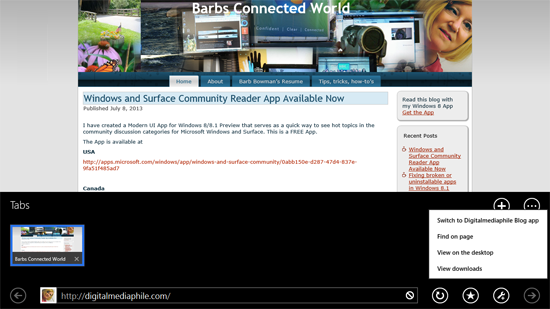 As of today, when you visit Digitalmediaphile.com you will see that the site is now associated with Barb’s Connected World Blog Reader in the Windows Store. 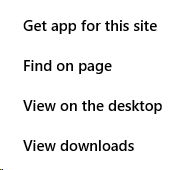 In the screen shots below, you can see that the standard wrench icon now has an extra item, signifying that there is extended functionality. 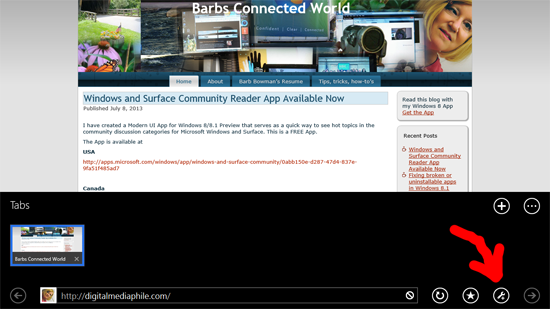 As you’d expect, when you select Get app for this site, The Windows Store will open and display Barb’s Connected World and you can install the app.